A ban by the SEC that would make Musk, in effect, the Pete Rose of Silicon Valley seems overly punitive, according to some market observers. Tesla shares veered off the road Friday as legal fallout from Elon Musk’s August tweetstorm intensified. The stock price fell by about 12 percent following a Thursday afternoon announcement by the Securities and Exchange Commission that it had filed suit against Tesla’s mercurial chairman and CEO over tweets last month in which Musk — who also is the electric car maker’s largest shareholder — said he might take the company private and had the funding to do so, a claim the agency charged was untrue. “If you believe in the integrity of the securities markets, the alleged conduct was terrible,” said Charles Elson, a corporate governance professor at the University of Delaware. The SEC announced it is seeking to bar Musk for life from being an officer or director of a public company, but a ban that would make Musk, in effect, the Pete Rose of Silicon Valley seems overly punitive, according to some market observers. “Twitter should not be a form of formal communication,” said Mary Uhl-Bien, professor of management at Neeley School of Business at Texas Christian University, pointing out that President Donald Trump’s tweets — which have threatened everything from a nuclear showdown with North Korea to withdrawal from NATO — are not treated as policy directives. “It’s not a formal platform and I think we’ve shown that with what the president has done. To me, the SEC was too harsh,” she said. Regulators could be trying to increase the pressure on Tesla’s board to take action: Musk reportedly had what was characterized as a “last-minute” change of heart and turned down a settlement offer on Thursday. Corporate governance experts faulted Tesla’s board of directors for not publicly addressing the issue of Musk’s tweets and letting the situation come to a head. “The board has to take action at this point. They’ve done nothing about it,” Elson said. “If the board doesn’t act at this point, then the board begins to absorb some kind of responsibility for what happens,” he said. Elson suggested that the lifetime ban still could be a negotiating tactic on the part of regulators. According to CNBC on Friday, the settlement offer Musk refused would not have required him to admit wrongdoing but would have barred him from serving as Tesla’s chairman for two years. In addition, the board would be required to add two new, independent directors, and Tesla and Musk would be fined. If the SEC’s return volley does succeed in forcing Musk to step away from Tesla permanently, a worry that seemed evident on Wall Street Friday, it could throw the company’s future in doubt. Analysts said that losing Musk could shave as much as $130 per share off Tesla’s stock price and could make it harder for the company to raise money. 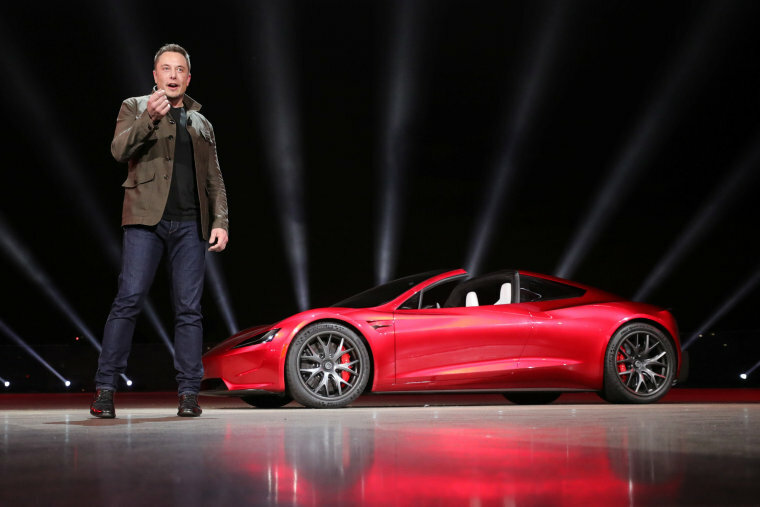 “If the SEC were to take him out, that’s incredibly damaging,” for Tesla, Uhl-Bien said.